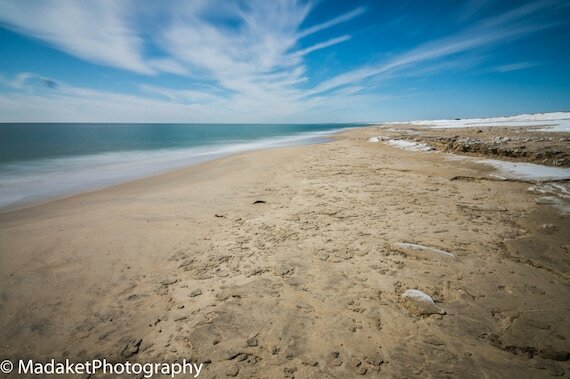 Three miles of barrier beach on Edgartowns south shore at the end of Katama Road. Excellent surf on one side with views of Katama Bay. Very popular summertime beach. An exception to most island beaches, parking is usually available at South Beach. Lifeguards on duty. This is a public beach, open to all. The outer beach is accessible by 4x4 vehicles with permits, or those with small power boats.